Rabbi Shlomo's ongoing class takes learning to a new level. No previous knowledge needed! This class is for anyone interesting in delving deep into amazing concepts in the Torah! Craving dessert?? Join us at Chabad this Thursday evening for a Jewish dessert BAKE OFF!! We will be learning how to bake traditional desserts including rugalach, babka, and challah. Come try your hand at baking the best dessert of the night! Not interested in doing the work? Have no fear, you are encouraged to be a taste-tester of the finished products! Other snacks will be provided throughout the night. Stop in for good company and some tasty fun! Once a year, the Jewish community gathers for Shabbat 300. 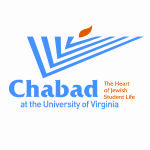 At this event, we invite 300 people to join us for Shabbat in Newcomb Ballroom. We welcome all members of the UVa community to join us in celebrating.